UPDATE: Minecraft 1.9.6 has been leaked! It's time for another pre-release folks! This time it's 1.9 Version 5, and it's better than ever. Melons drop more slices when broken. While in creative mode, mobs only attack if provoked. Iron blocks have a new look. F9 adds a fixed camera angle—this is great for filming. Y, M, N, U, O, and H change camera angles and depth of field view—also great for filming. You receive a warning when changing render distance too far. Items retain their enchantments if a chest is destroyed. You can now look around without a mouse using: I, J, K, and L.
Slimes not restricted to y0-16 anymore. Game Crashing piston glitch fixed. Player bow drawback animation improved. Silk touch does not work on spawners. Instant Heal splash potions damage zombies. Passive squid animation is now vertical. Lily pads are no longer gray in inventory. You now have mushroom biome grass in your creative inventory. Fence Posts no longer connect to leaves. Option to disable clouds in menu. We'll report more changes as they are revealed, so stay tuned! As mentioned in a Twitter update, Jeb of Mojang wants players to report if Minecraft 1.9 Version 4 Pre-Release bugs are fixed in this Version 5 update. You can do so by editing the corresponding wiki article here, and putting an "F" next to bugs that you find fixed. You'll be helping Mojang and ensuring a successful release! Also for a full report of ongoing bug fixes and possible changes, be sure to check the Reddit thread on the subject. 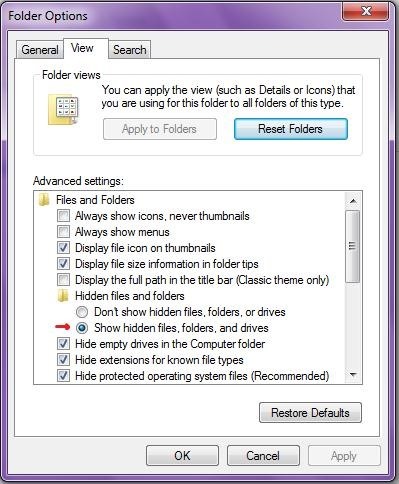 Inside your bin folder you will see a file named "minecraft". Right-click on the file and hit "rename". Now this is your old minecraft.jar file, so be sure to name it something you'll remember like "minecraft-old" or "minecraft2". Finally, drag and drop the 1.9 Version 5 file you downloaded into your bin folder. Be sure that it is named "minecraft" exactly, not "minecraf.jar" or anything else. You're done! Now you can open Minecraft and play 1.9 Version 5. If and when you decide to play your old version of Minecraft, which you will need for any servers that are not currently 1.9 Version 5, just rename your current minecraft.jar something like, "minecraft1.9.5". Rename your OLD jar file "minecraft", and you will be able to play the old version again. Open and run Minecraft and let it download all its files. Re-add your saves and texturepack folders to your .minecraft folder. When asked to overwrite, select "yes" or "ok". Please be patient if this does not work the first time. If you have any further questions, leave a comment below or PM me for help. Re-visit this post for more discovered content on the 1.9 Version 5 Pre-release! This is an update to Minecraft, so yes when you purchase the game this is the newest edition of the full version. I have tried all the steps but it still won't work. You don't need to open the update, you only have to move it into the /bin folder and rename it. when i start the game it says ''UPDATING MINECRAFT'' and its just froze like that why? Try this: Move your save and texturepack files to another folder. I tried the "updating minecraft fix thing" 6 times and it still hasnt worked for me, what do you think i should do? What errors or problems are you running into specifically? um this is annoying i cant update i got windows vista jeb i want a refund! ALL, I ran into the same issue. It freezes at about 95% and says update done. Just close out, go to the %appdata%\.minecraft folder. Rename the minecraft file to minecraft.jar. Fire it back up and it should say "Minecraft Beta 1.9 Prerelease 5". ENJOY!!!!!! One day before I've deleted the .minecraft folder by mistake.What should I do to have it back in my computer? You might be out of luck, Anna. Just re-downloading the game from the website and running it will automatically re-populate your computer with the .minecraft folder, but any personalized things you used to have in it are probably gone for good unless you still have them in your Recycle Bin.